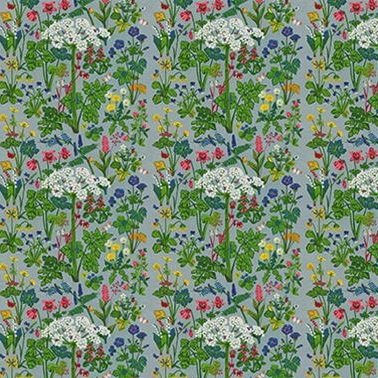 Aurora wallpaper designed by Lisbet Jobs, from Boras Tapeter's Scandinavian Designers II collection. 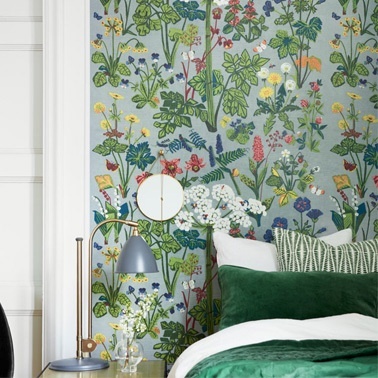 Lisbet Jobs' most distinguished plant pattern is grant and elegant with the beautiful cow parsnip in centre like the queen of meadow flowers. There's a hint of the 1950's angularity in the drawing. Aurora was designed in 1956. We are more than happy to help estimate quantity and help with colour advice, so feel free to call us on 03 384 4880 or email design@casualandcountry.co.nz. We have samples in store and co-ordinating fabrics to complete the look. Please select carefully as there are no returns.